The expert for this interview is Lucas Navarrete, follow him on twitter @LucasNavarreteM. He is the Chief Editor of the Real Madrid website ManagingMadrid.com. You can follow them on twitter @ManagingMadrid. As a Real Madrid supporter, what does it mean for the club to finally claim LaDecima? It has been so long since we won our last Champions League that I don’t even know how I would react. For the club and some of the players, I think it will be a relief more than a happy moment. They know that the Ligas and Copa del Reys they’ve won in the last 10 years are always put into question because they’ve failed in the Champions League, and it is kind of unfair. We are the club with more Champions League trophies but we still “just” have nine in more than 50 years of history. It is not that easy to win it. Still, I am hopeful and I think the club is taking the right steps in order to win at least one in the next five years. You only need a bit of good luck too! Manchester United proved in the last round how sitting deep and soaking in the pressure can prove to be successful against Bayern Munich. 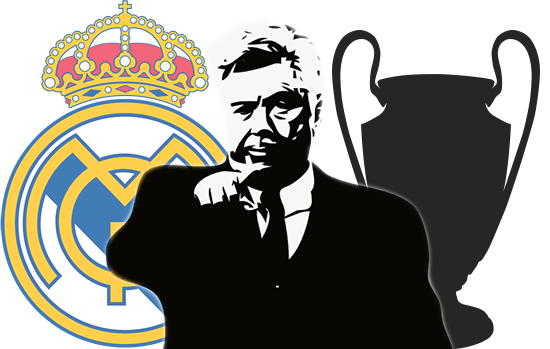 Do you think Ancelotti will be tempted to implement his Italian roots or does this game need to be an open footballing encounter? If you asked me this before the Copa del Rey game I would have told you that Real Madrid will try to get the ball away from Bayern at least for some moments. But the gameplan against Barcelona was to sit deep and let their possession become irrelevant. I obviously believe that Real Madrid should play a counterattacking style against Bayern, and I surely hope Ancelotti feels the same way. Bayern’s midfield is one of the most well balanced unit in Europe, with clear intentions of dominating the ball. 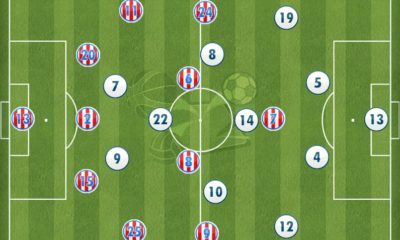 How would you set-up in the middle of the pitch? 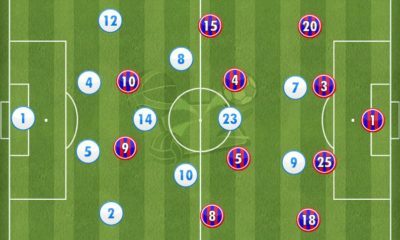 The 4-4-2 worked well against Barcelona. And Cristiano Ronaldo is back, so Bale should be on the left and help Coentrao, with Di María on the right and Modric-Alonso in the midfield. If Real were to play 4-3-3, Ancelotti will probably go with Di María and Modric in front of Alonso, something that I think will not be enough against Bayern’s men. Illarramendi or Casemiro would bring some composure, but their presence in the starting XI doesn’t seem likely. Having seen Pep Guardiola compete with Real Madrid on a number of occasions, where do you think the weakness lies in his system? On defense, no question. And probably because he doesn’t have the right men. Against his Barcelona, you were always capable of creating at least 2 or 3 big scoring opportunities. They are not that many, and you were forced to convert them if you wanted to compete against that side, but you indeed had your chances. And I believe it is the same way against his Bayern. You need to accept that they are going to dominate, but if your team is patient enough, your chances will come. All you need is a bit of accuracy. With Atletico Madrid competing on both fronts as well, what would it mean to Real Madrid if Atletico finish ahead of them in both competitions? Well, the fans would not be happy and Atlético will have something to brag about for the next couple of months, but that has happened the other way for the last 10 years. I mean, they have even been relegated in that period, so I would say they need more than one season to turn things around, though I have to accept that what they are doing this year is truly amazing and I am a big Simeone fan. They will have a hard time repeating this success, so it’s not that big of a deal. Especially because we finished ahead of Barcelona too!